Last week I got the unique chance to take a trip to rural Japan with the Microsoft Agriculture Club. Kamiyama in Tokushima Prefecture is a small agricultural town that is attracting IT companies, artists, and environmentalists who want to enjoy the natural beauty and high quality of life as well as extremely high speed internet connections that let them stay connected and work remotely. Kamiyama reminds me of my own hometown of Fairfield, Iowa which has an aging and shrinking, agriculture-based population, but a growing community of entrepreneurs, students, and people interested in sustainable living. One Microsoft’s IT partners in Japan, Dunksoft, setup a satellite office for their workers in an old Japanese house on a hillside known as the Yamani House. We slept on Tatami mats and bathed at the Kamiyama Onsen down the road. The Microsoft Japan Agriculture Club in the Yamani House with our awesome hosts. 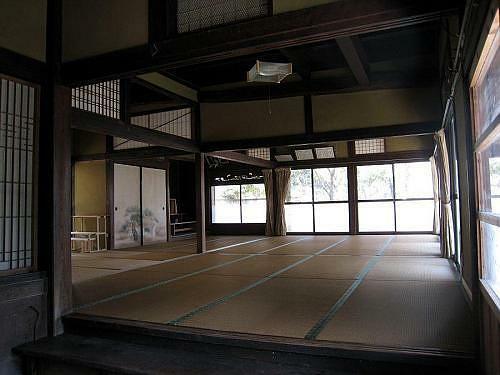 If you want to stay here too, you can rent the Yamani House for just 18,00 Yen per week (Per person). They would love to have you. See more pictures of this great house.